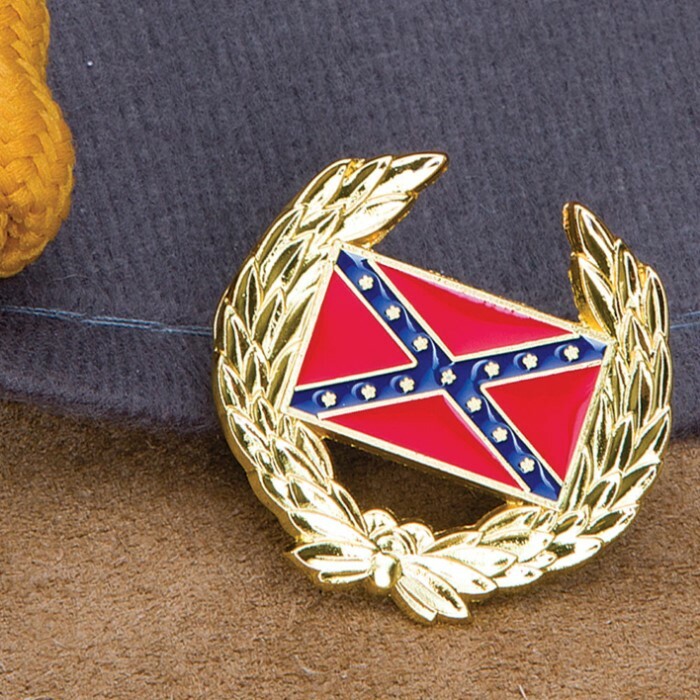 Confederate Wreath Hat Pin | BUDK.com - Knives & Swords At The Lowest Prices! 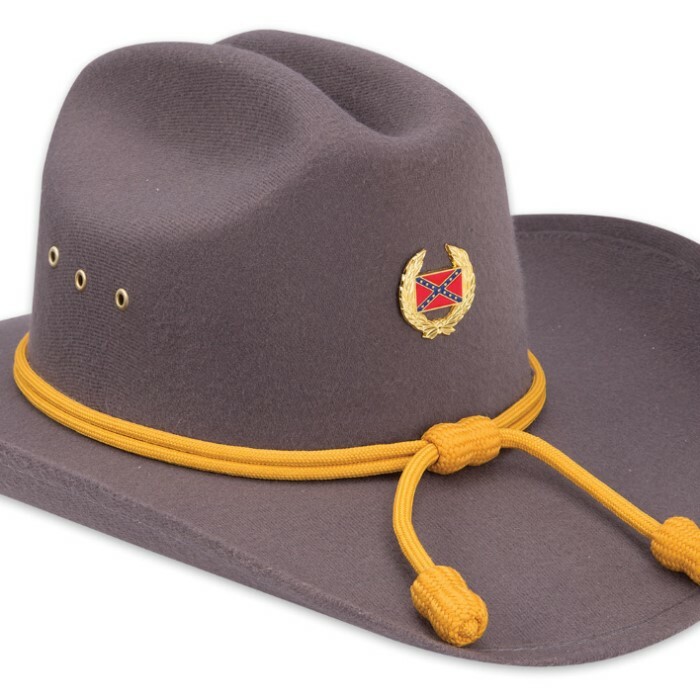 Dimensions: 1 1/4" x 1 1/4"
Don't just use this hat pin for your reenactment uniform! You can wear this attractive gold Confederate Wreath Hat Pin anywhere. 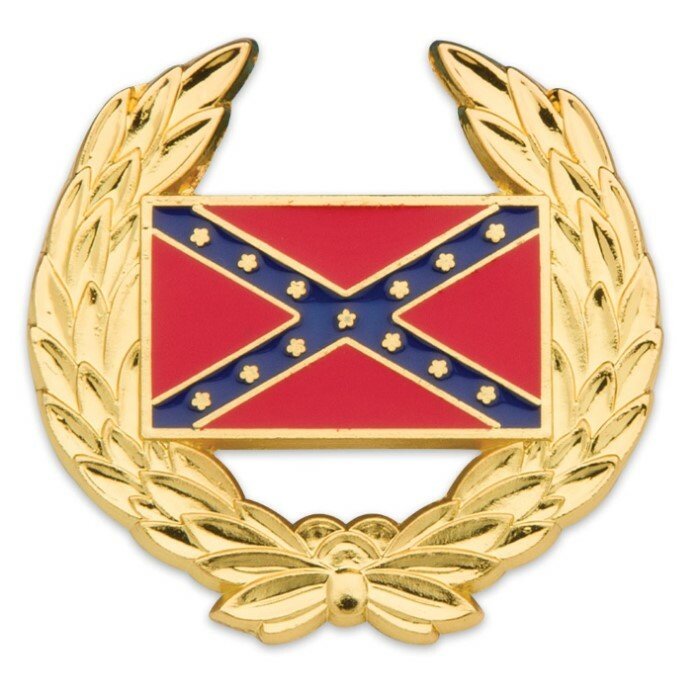 It is constructed of a sturdy metal alloy with a shiny gold finish that will stand-out and features a painted Confederate Flag.